The Russell’s viper (Daboia russelii) is a highly venomous Old World viper found throughout Asia, the Indian subcontinent and a great deal of Southeast Asia. The name derives from the Hindi word meaning “the lurker” or “that lies hid”. 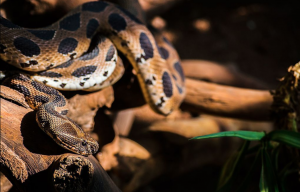 Other names for the Russell’s viper include Daboia, chain viper, Indian Russell’s viper, common Russell’s viper, chain snake, scissors snake and seven pacer. 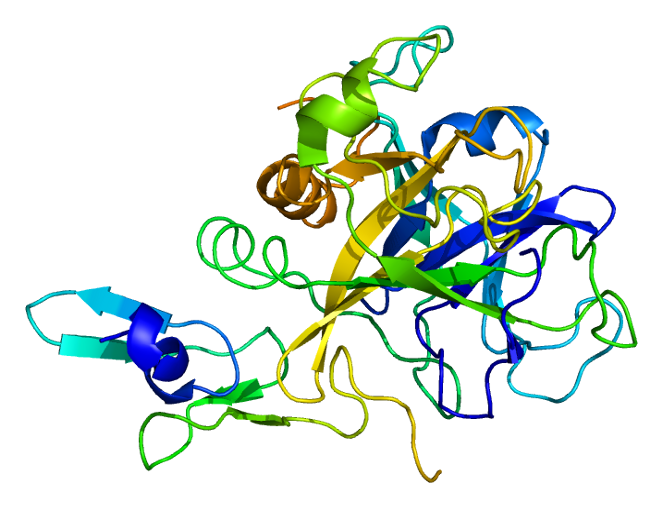 Structure of the F10 protein. Based on PyMOL rendering of PDB 1c5m. Wikimedia Commons. Russell’s viper was named after the Scottish herpetologist Patrick Russell (1726–1805). A single drop of Russell’s viper venom will turn blood in a cup into a coagulated blob that looks like moulded jelly. However, in a living body, the venom has a different effect. 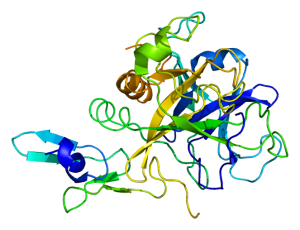 The venom reacts with a protein in your blood called Factor X, creating proteins called fibrin, which cause the blood to clot. Because snakes have been biting people for so long, we have a defence. The body releases fibbrinogen degradation products to counteract the clotting, but in the process the degrading fibrin can clog the kidneys, causing kidney failure. Your blood begins to fill with the junk your kidneys normally deal with. Urea, which contains nitrogen, builds up in the blood to toxic levels. You’ll probably need dialysis to survive past this point. Russell’s Viper a.k.a Daboia, घोणस. Taken at Rajiv Gandhi Zoological Park, Pune, Maharashtra, India. Wikimedia Commons. The battle isn’t over yet. As well as being full of urea, your blood now contains so many anti-coagulants that your blood can no longer clot at all, meaning that any cut or bite will bleed profusely and continuously. You won’t turn into a jelly person, but, ironically, you might bleed to death. This article was originally published on Critic te Arohi, Otago University’s student magazine.